Anyway, this is where I tell you that I’m going home for Christmas, and probably won’t be comic-drawin’ while I’m there. Sorry, but it looks like this year will definitely go down in Spartachick history as being teh suxxor. On the plus side, I did discover a new vice: TEA!!! Well, not really “discover”… more like “embrace.” Actually, less like “embrace,” more like “abuse”… something I will continue to do, so long as it results in improved production. Oh yeah, where’s this bit of the story supposed to be going? The past. That’s right, another history lesson. You’ll appreciate it when you’re older. Maybe. Actually, probably not… whatever, it’s going to have owls! Owls, and eagles! Owls, eagles, and falcons! And probably not a lot of shading, as feathers can be a bit of a project. If I think of anything to add later, I will do so. Is Spartachick going all Watership Down on us??? God that movie was totally not for kids. On another note, huzzah for updates! At this stage in my life I totally can appreciate that. 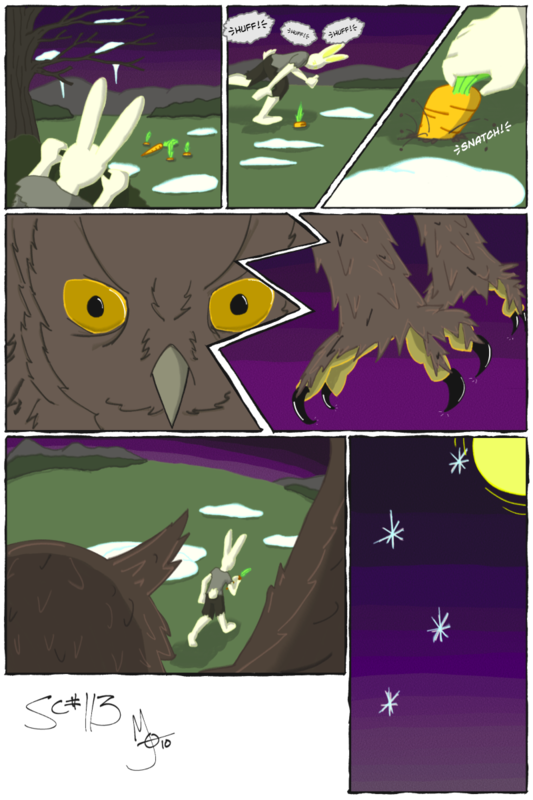 Actually, you should totally make a spin-off cartoon series of Watership Down. Although, personally I still must forgive that movie for both terrifying and confusing me with it’s totalitarian undertones.